I‘ve been impressed every time I’ve stopped by VolunteerSpot, a tool that makes it easy for anyone to coordinate and organize volunteers. At BlogWorld Expo, I got to chat with founder Karen Bantuveris shortly after she appeared on a panel about fueling real world action through social media. How can nonprofits and cause organizations spur supporters to take real-world actions, whether it’s a fundraising action or volunteer action? Other participants in the BlogWorld session tackling the topic were Jessica Kirkwood, VP of Social Media, HandsOn Network, Kerala Taylor of KaBOOM and Robert Wolfe of Crowdrise. 2. Next, move those smaller actions toward generating a larger goal, like building a playground. 3. Start with your immediate social networks that contain people — friends and family members who are already engaged — and then solicit those communities to engage their friends. 4. Use social media to publicly thank the people who are supporting you and your cause. • Make a personal appeal. • Tell a compelling story. • Make folks feel part of something larger than themselves. • and several other suggestions. VolunteerSpot is one of the nonprofits profiled on our Cause organizations page. A production note: My Panasonic HD camcorder went absolutely haywire with the auto white balance halfway through the interview, and I couldn’t figure out how to solve it, so tried my best in Final Cut Pro post-production. How Twitter helps the social good from JD Lasica on Vimeo. Most nonprofits and cause organizations look at Twitter as a key ingredient of their social media strategy. But Twitter offers a number of other opportunities for collaboration to advance the social good — many of which you may not know about. Claire Williams Diaz-Ortiz, who heads up Corporate Social Innovation & Philanthropy at Twitter (and who just got married), has long been a member of Socialbrite’s Do Gooders List, so I was jazzed to sit down with her last month at BlogWorld Expo in Las Vegas. • Twitter’s main hub for social good efforts is Hope140.org. At the site, people can learn about causes to follow on Twitter and organizations can learn how to use Twitter more effectively. 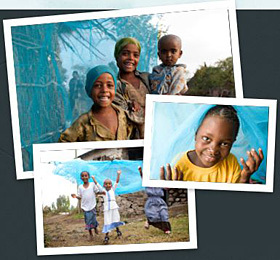 Current campaigns focus on literacy, Haiti relief and malaria prevention. • Cause marketing is part of Twitter’s philanthropic strategy. When Twitter launched its Promoted Products platform earlier this year, it started with six businesses and two nonprofits (“tweets for good“). “Every month we give a month’s worth of free promoted tweets for a nonprofit,” she says. • Twitter works closely with Room to Read, a nonprofit that partners with local communities throughout the developing world to establish libraries, create local language children’s literature and improving children’s reading skills with an emphasis on educating girls. Twitter has conducted an International Literacy Day promotion and a couple of fund-raising campaigns for them, Claire says. • Claire, an avid runner, also is co-founder of HopeRuns — check it out — and she blogs at Claire.us.com (see her latest: What are the roots of happiness?). • At BlogWorld, Claire spelled out some tactics on how nonprofits can excel at Twitter, namely, T.W.E.E.T. — that is, target, write, engage, explore and track. If your nonprofit has a particularly worthy social cause, get in contact with Claire and see how Twitter might be able to get your message out to tens of millions of users. When you moderate a panel at BlogWorld Expo, ironically, sometimes you’re the last person to blog about it. Such is the case with the Oct. 16 “Mobilizing your social network” panel with this all-star lineup: Andres Glusman of Meetup.com, Justin Perkins of Care2, George Weiner of DoSomething and Giselle Diaz Campagna of Free Speech TV. There were some valuable resources mentioned, so I’ll try to assemble them here into a neat package. See Meetup Everywhere on Tumblr for best practices and examples. A Mashable meetup in Greece. • Justin cited the campaign Care2 did for climate change advocates 1Sky. They recruited an email list of 10,000 people, used data mining to determine which Facebook and Twitter users would be most the most active and created a funnel that let to five or six precinct captains who canvased door to door and organizing house meetings on behalf of a campaign. I may have gotten a detail or two wrong but the overall point was that organizations should take steps to move from online action to offline activity. • Justin also pointed to this article on how to bring social network avatars to life and an essay on how slacktivism is a misnomer. • Giselle Diaz Campagna offered to work with nonprofits interested in having their stories told through video on the freespeech.org site and DirecTV Channel 348 and Dish Network Channel 9415. Don’t step away from controversy, she advised. “We loved it when Glenn Beck did a piece on us,” she said. • George Weiner gave a passionate presentation that showed how social media and video could be used as part of an educational campaign to curtail violence against teen girls and young women. One out of three teens will be abused online. If your nonprofit has any programs for young people, you should collaborate with DoSomething. • Several of the audience members were with political organizations rather than nonprofits, such as two representatives of evoiceamerica, which makes it easy to email your elected reps.
• Justin also pointed to this resource of 17 nonprofit benchmark studies. • Learned more about mobile fundraising service Mobilecause from its CEO, Douglas Plank. 70% of all US households donated to a nonprofit last year, totaling $227 billion. • According to Douglas: 70% of all US households donated to a nonprofit last year, totaling $227 billion given by individuals. 7% of the US gross domestic product comes through the nonprofit sector. 8% of Americans work in the nonprofit sector. • Horvath said YouTube turned over some of its front page programming to the subject of homelessness one day this year, and fully one quarter of the views came from mobile devices. View more presentations from JD Lasica. Can individuals and organizations mobilize their online social networks to advance the social good and create meaningful change?